A popular nutritional supplement derived from hemp called CBD oil lines the shelves of natural food stores and head shops across the Twin Cities. Although it hasn't been approved for medical use, customers use CBD oil to treat everything from anxiety to restless leg syndrome. As demand grows for the oil, farmers and entrepreneurs in Minnesota want a piece of the market. But the murky legal status of the supplement, and hemp itself, is a challenge for an industry that already brings in an estimated $700 million a year nationally. Garth Carlson owns Minnesota Hemp Farms in southern Minnesota, where he and his business partner had been farming for decades. "We've grown corn and soybeans in the past, but we were looking at something new and exciting," Carlson said. "Corn prices, bean prices, they're in the dumps. So how can we survive this bad time?" They looked at growing medical marijuana, but the startup costs and legal hurdles were too high. The difference between hemp and marijuana is that hemp has very little of the psychoactive chemical THC, which is what gets people high. Then Carlson and his partner heard about CBD oil. They received approval to participate in the state's hemp pilot project and planted their first crop this year. Although one drug containing CBD oil has been approved by the Food and Drug Administration to treat epilepsy, health claims tied to the product have yet to be substantiated. But that doesn't stop some from believing it works. Even old-timers in southern Minnesota have started to embrace CBD oil, Carlson said, and he uses it daily for hip pain. "I couldn't sleep at night. It throbbed," Carlson said. "I started doing the oil under my tongue every morning and every night, within a day it just went down to nothing." Carlson said there are more buyers for unprocessed hemp than sellers. They plan to quadruple the size of their farm next year. But there are obstacles. "The only problem we're having is the banking, we're doing nothing illegal here, but the banks won't let us put our money in the bank or they won't give us money," Carlson said. "So that gets highly expensive and deep in the pockets." Cody Wiberg, executive director of the Minnesota Board of Pharmacy, said state authorities have been aware of CBD oil for months. His take is that the 2014 federal law to allow hemp farm pilot projects does not allow for the sales of CBD oil. Wiberg said federal agencies "have issued this statement basically saying that they believe Congress intended this for research in pilot projects but not for mass commercialization," Wiberg said. "The FDA [Food and Drug Administration] has further specifically stated that CBD cannot be sold as a dietary supplement." Board of Pharmacy officials aren't planning enforcement actions against manufacturers or stores that sell CBD oil. The state will be monitoring what Congress does in the new farm bill, which is expected to permanently legalize hemp as a crop. State officials will also be watching for possible action in the Minnesota Legislature. Wiberg said the public should be aware that some manufacturers may not be using safe or consistent manufacturing standards, and that medical claims aren't supported by medical research. "We would urge consumers really to use caution when deciding whether or not to use these products to treat medical conditions, particularly if the use would be for serious consumption conditions such as seizure disorders," Wiberg said. Minnesota's medical marijuana law is one of the strictest in the country. Joe Loveland, a spokesperson for medical marijuana supplier Minnesota Medical Solutions, declined comment on the CBD oil supplements, but said the public should be aware of the murky legal situation and lack of regulatory standards for CBD oil manufacturers. The lack of legal clarity isn't unique to Minnesota. But it hasn't impeded the growth of the industry. 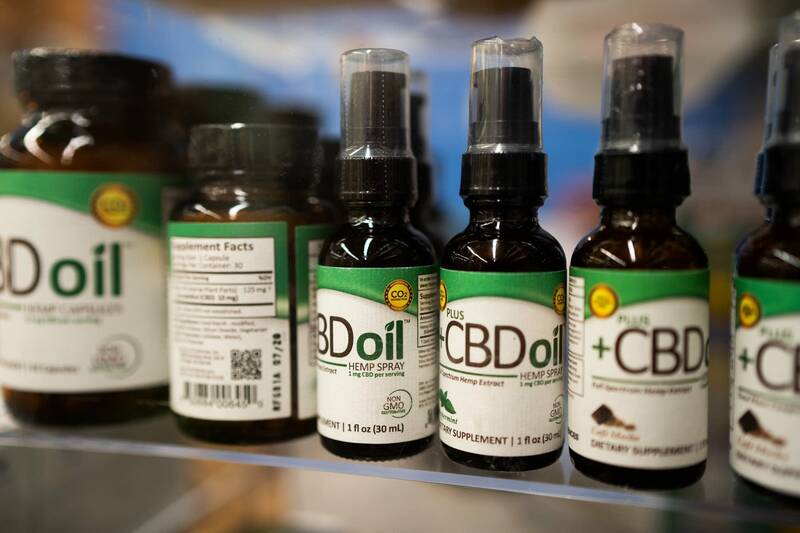 Josh Hendrix, director of business development for CBD oil manufacturer CV Sciences of Las Vegas, said use has exploded over the last two years all across the country. Hendrix said he would prefer not to formally legalize the oil state-by-state, but that the current legal status is too confusing. "Let's put some framework around this simply so that law enforcement doesn't do anything to embarrass themselves," Hendrix said. Hendrix admitted there are a lot of "bad actors" selling CBD oil without standards, but said his company has been trying to establish an industry group to test the oils and help standardize practices. Hendrix said he's started to see banks become more willing to work with CBD oil businesses or farmers. He expects changes to the status of hemp in the federal farm bill will give banks more confidence about working with those sort of businesses. "You can't put the genie back in the bottle when there's tens of thousands of acres of hemp being grown for CBD production and nothing else," Hendrix said. "Hemp extracts, as I like to call them, are driving the train right now for the hemp industry." And the number of outlets that sell CBD oil appear to be growing in the state. Steven Brown, CEO of Nothing But Hemp, said his stores will sell CBD oil products in Minnesota, including one at a mall in the Twin Cities suburb of Maplewood. "It's nerve-wracking not knowing where it's going to lead," Brown said of the CBD oil industry. "The only way to really kind of go and do this is to open up a location, and hopefully we're able to help the state when it comes down to the regulation piece." Brown said lawyers reassured him that he can legally sell CBD oil. He supports more government regulation over the industry, including not allowing sales to people under 21. Brown also wants more assurance that the oil, especially when it's produced in other countries, will be free of unwanted ingredients. "There has to be some type of testing measurement when it comes down to purchasing those products," Brown said. In the meantime, the farm bill now stalled in Congress could clarify the legal status of hemp. Leaders of the committees have said they aim to pass it by the end of the year.